Today we propose an arrangement for solo flute of the Rondo from Franz Schubert's Piano Sonata No. 20 in A major, D.959. 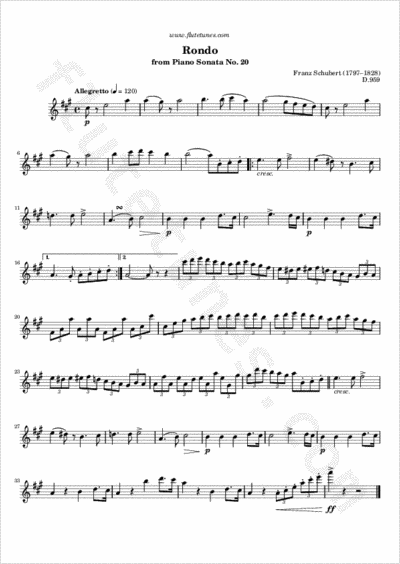 This lyrical Allegretto consists of relentless flowing triplet movement and endless songful melody. It was popularized by the 1990 TV series Wings, which used an arrangement for piano and strings of the piece as its opening theme. Thanks to Marian for suggesting this tune!